Zoey Deutch Goes Glam for Tony Awards 2018! 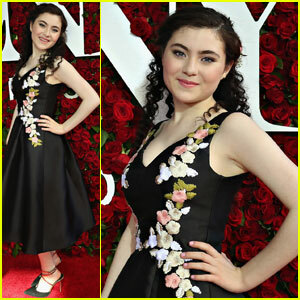 | 2018 tony awards, Tavi Gevinson, Tony Awards, Zoey Deutch | Just Jared Jr.
Nick Jonas Is a Total Tonys Stud! Kendall Jenner & Bella Hadid Are All Dolled Up for the Tony Awards 2015!